In spite of the statistics and the down economy, there are some that ARE financially ready for retirement. How do we know when to pull the trigger and enter retirement? For many, inertia and fear of the unknown keep us plugging away at sub-prime careers far past the time we should leave. Please note that I am not any kind of retirement specialist. These are the questions I asked my self prior to retiring from a six figure income with bonus’s and stock options in the midst of the recent great recession! I’m doing OK, so hopefully these questions will help you as well. Obviously, you will need adequate financial backing for the lifestyle of your choice when you retire. You’ve been used to a steady income for many years. Knowing that money is going to be available brings a great deal of security. I you don’t have a replacement for the income you will lose when you retire from your job, you need to make sure that you have done the retirement math and that it supports leaving your job. Otherwise, you probably still need the money from working and shouldn’t retire. What will your expenses look like? You may not be able to retire if your income won’t support the luxurious lifestyle you are hoping to live! Track them over a multi-year period, noting the averages on different categories as well as the spikes and valleys. Start with your current expenses and add to or subtract from them to get an estimate of what you will need. I took our actual expenditures for everything from our records for the past 5 years and categorized each one to look at the numbers. Then I thought about what it was I wanted to do in retirement (build a new business, travel, annual gifting to the kids, etc) and put a stake in the ground as to what I thought we would need monthly and yearly. Will your projected income from all sources meet or exceed your estimated expenses with a comfortable margin for error? If not, you may want to rethink retirement. Do you need the benefits? You probably won’t have health insurance, life insurance or special perks (like savings on certain items or free tickets to different things or business travel on the company’s dime) after you retire. Be sure to determine how you will cover normal medical, dental, eyeglass and etc bills as well as what you will do in catastrophic cases (like a major accident or long lasting disease). Research health, life, long term care, dental and vision policies available and compare costs and benefits. Think about which you really need and how much of a deductible you can afford on your new income levels. I was lucky on the health, dental and vision insurance, as my spouse’s plan covers me as well. He is already retired and his insurance will be available until we are both dead. Sweet deal. Do you need the social engagement? Working outside the home provides more than just a paycheck and some benefits. You receive daily social interaction with many different people – co-workers, customers, bosses and service personnel. Sometimes those interactions are good, sometimes not, but they are consistently available. After you retire, it may be harder for you to find other’s with whom to interact. You really don’t want to be that needy Mom, Dad, Grandma or Grandpa, leaning on family to provide the human touch! Plan ways and activities to reach out and connect with non-family as well as with family and extended family. Know your needs before you retire and plan to adjust for them. As a corollary, are you and your spouse ready to be together full time (assuming both of you will be retired)? Is the time and effort expended on your job worth the money? Perhaps you own your own business and want to sell because the business is declining or you are no longer happy with the product or service. Perhaps you work way too many hours for an employer who doesn’t pay you enough for what you do or perhaps you feel that your work is not worthwhile or valued. Maybe you just don’t need the money from your salary anymore and don’t get enough other satisfactions from working. These are all things which can cause discontent and may lead you to consider retiring. Don’t base retirement solely on these! 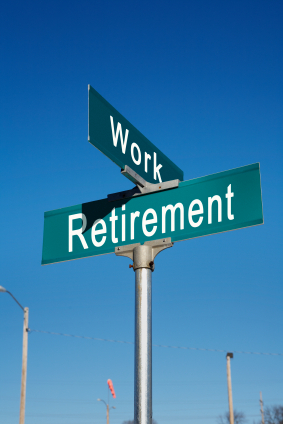 There are other remedies to these situations besides retiring. However, combined with answers to the other questions, these issues can tip the balance for you in deciding whether or not to retire. Chances are that if you love your job and can’t wait to get started each day, you aren’t even reading this post. However, if you believe the work environment is about to change, or the work about to become less fulfilling, or you feel that you will shortly being losing the respect of employers or co-workers through no fault of your own, you may want to consider retiring. Are there other things you want to pursue? If your life has been consumed by work and there are other things you haven’t been able to pursue due to working, you many want to consider retirement. We all only get a certain amount of time on our fair planet. The length of yours can be influenced by your genes and lifestyle, but no ones goes forever. In addition, some of us encounter failing health in our latter years, a problem that can hinder our success in pursuing our legacy. Bill Gates said enough on the day to day operations at Microsoft several years ago. He wanted to pursue philanthropy through his foundation. Have you fulfilled your work legacy? If you set out to accomplish certain things with your business or your job, you may want to continue working so that you can leave the work legacy you envisioned. Perhaps you wanted to provide a exceptional service through your business to the community and your business won’t be able to survive without you. Perhaps you started a major project at work and want your work legacy to reflect that you completed it successfully. None of these questions in isolation will be enough to tell you whether you should retire or not, but all of them considered as a group may point you in the right direction. What questions do you thing people should ask and answer prior to deciding to retire? The question William above asked is the question that makes me the most nervous when I think about retirement. This is a good article to get people to think about other things than just the money. Yes, you do need the money – figuring out how much is right for you is hard to do. Retirement depends upon the security of money.Savings by which the life after retirements will running on.If it is not financially reach,it suffers the person much.It will be better to have some personal business after getting retirement. Obviously, you will need adequate financial backing for the lifestyle of your choice when you retire. I find that the question whether I want to do something else – more like changing career than retiring – is THE question for me. Having said this the questions you raise are important. Life for me without accomplishment and meaning is not good so I’m with you on this one. Great article Marie. I’m only in my 30’s and I’m thinking about a lot of these things every single day. I plan to semi retire early so I can travel and fully retire for as long as I can hold off, probably 67. I feel for a lot of people who are not taking the time to save for retirement will end up taking semi retirement and working some place part time for a little extra cash or for the benefits. Wow, I never thought about retirement when I was in my 30s! I know I should start looking now, I will be 53 next month, so I am thinking 15 more years at least. But not much I can do but get past the BK and then worry about it. I do keep my ears open though and try to gather info! Sounds like you have plenty of time. “Work legacy” is a great consideration, Marie. Work is so often associated with necessity that we forget to try to make a lasting positive impact. Thanks! I know I didn’t think of it for years. As it turns out, we work on that legacy every day we go in, by the things we do and say or don’t.